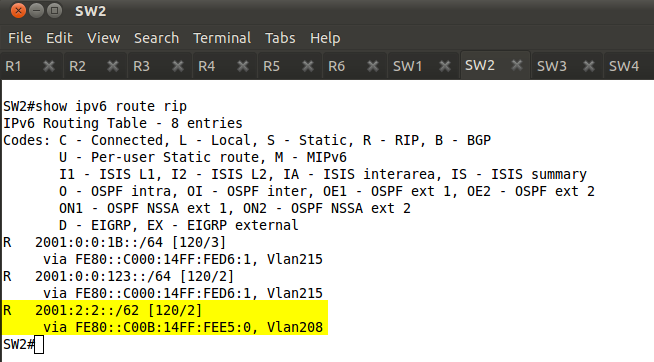 Enable RIPng with the identifier 'CCIE' between SW2 and BB2. Ensure that SW2 advertises only one learned from BB2. All other RIPng devices should be able to reach more specific prefixes advertised by BB2. Pic. 02 - Summary Prefix. Pic. 03 - Ping Test. Ensure, that you have configured previous lab correctly (lab 188). Configure SW1, SW2 and R5 such that they automatically configure their IPv6 addresses in Vlans 27 and Vlans 215. 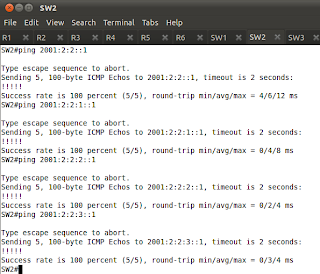 Enable RIPng with the identifier 'CCIE' in SW1, SW2 and R5. 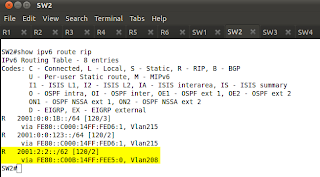 Verify that SW1 can reach all the hosts in VLAN 215. Using 'debug ipv6 nd' and 'debug ipv6 packet detail' inspect what happens when you enable autoconfig. The most boring part is changing the topology every now and then just to illustrate the problem. 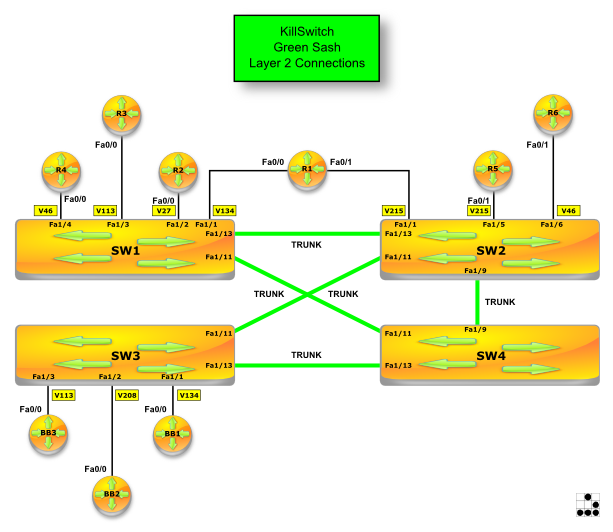 In order to avoid doing this over and over again, let's use the same physical topology I have used in the Kill Switch section. The logical configuration used from now on, will be the same I have used in Green Sash: OSPF sub-section. We have only one life and it is better if we spend it on doing something interesting. Using the physical topology diagram presented here, configure devices as per pic.1 and pic.2 (if you want to save the time, you can download the configurations from here and upload it). Test layer 3 connectivity between all neighboring devices. 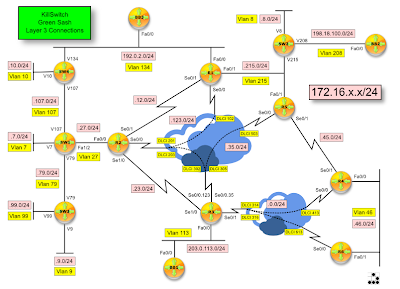 Get ready for the upcoming IPv6 labs ;). Lab 180 - MPLS Internet Access (as VPN): Solution! My name is Jarek Rek (first name pronounced like: 'Yarek'). 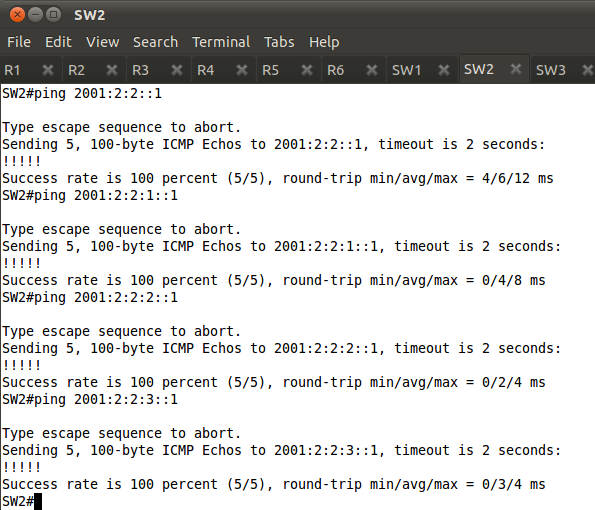 I would like to welcome you to my Cisco Routing blog. I try to develop my skills in the area of linux, routing and switching as well as programming every day. I am greatly inspired by open source movement and the content of this site partly reflects my attitude towards life and people. I believe that through hard work, honing the skills, sharing and helping one another, amazing things can happen. If you are now laughing at my naivete, consider the contributions made by Linus Torvalds and thousands of hackers who shared their expertise with us. Anyway, if you want to tag along and study with me you are most welcome. I will be very happy to hear from you. If you want to drop me a line you will find my contact details in 'about me' section. Thank you for visiting my blog. I wish you all the best with your personal goals.